Dr. Fulton completed his Ph.D. in Geosciences and Biogeochemistry at Penn State University in 2010, studying nitrogen isotope excursions in the sedimentary record. He was a Postdoctoral Investigator at the Woods Hole Oceanographic Institution (2011-2013) where he studied algae-virus interactions and lipid export from surface to deep water masses. In 2013, Dr. Fulton moved to a faculty position at Baylor University as an Assistant Research Professor and started a new research project on organic biomarkers in desert microbiotic soil crust. 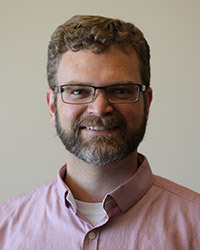 Dr. Fulton is now an Assistant Professor in the Geosciences Department at Baylor and principle investigator of the new Microbial Biogeochemistry Lab, which was constructed in 2017-2018.